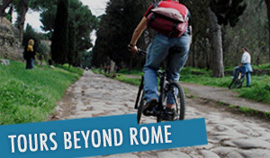 "Top Bike Rental & Tours is professionally run by Roman bike enthusiasts who want to show off their city..."
Rome in the heart of Italy: a city to be discovered by bike; rent one! You might not know it, but it is easy and great fun to ride a bike in Rome! The number of bicycles you see in the city increases every year, and it seems that the use of bikes is beginning to grow as a valid alternative to cars. 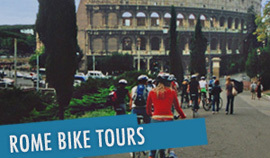 Join one of our guided bike tours in Rome (or E-bike tours!) or rent a quality bike and make the most out of your stay. Bicycles can, in fact, enter pedestrian areas and limited traffic areas, which constitute 50% of Rome’s center. By bike, you can avoid the traffic of Rome AND discover a whole variety of alternative roads, alleys and squares that represent the typical Roman atmosphere at their best and explore the extraordinary historical-archaeological urban area. This area is too big to be visited by foot, and most of it is inaccessible to motor vehicles. Bicycle technology has evolved, thus allowing cyclists to enjoy any kind of landscape with the most appropriate models (electric-assist bikes, trekking bikes, mountain bikes, tandems, road bikes, folding bikes, etc.). That's why today we can undoubtedly say that: Bicycles are the ideal means of transport in Rome! A vast assortment of light, safe high quality bicycles for rent, including also electric-assist bikes, fat bikes, road bikes and folding bikes. The experience to take you, with our Rome bike tours, to Rome's most famous and spectacular places as well as the most unusual and secret ones. Our tours are very carefully prepared in order to avoid traffic: 70% of the routes are therefore closed to traffic or with limited traffic. 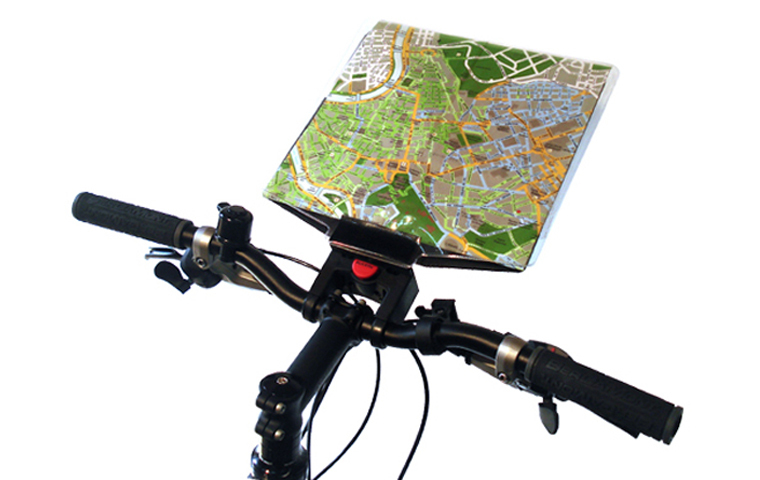 A Rome cycling map + map holder, with which you can enjoy travelling through the quietest streets of the city. The map is produced by 'Top Bike Rental and Tours' and provided to our customers: every street of the center is coloured according to its own cycling level. Help and assistance from specialized staff and the possibility to upgrade and personalize the bike with a wide choice of accessories. The only road bike rental place in Rome: about 25 excellent road bikes in alloy and carbon. 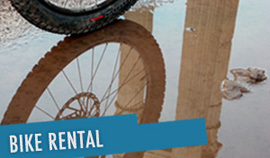 The only tandem rental place in Rome: excellent road bike tandem, mountain bike tandems and trekking bike tandem. Hire one of our high quality mountain bikes, trekking bikes, E-bikes, speed bikes, tandems or road bikes, spend a few days cycling in Rome, (it's best if you join one or more of our Rome bike tours) and then one week riding in a beautiful place near Rome, such as Tuscany, the Isle of Elba, Umbria, Sardinia, Corsica, National Park of Abruzzo and so on.